Do we see our dreams as impossible only as an excuse for not even trying? Because it's easier to stay where we are, where it feels safe? In the rut we're in, in the job we don’t like, in the unhappy marriage or relationship we can't seem to leave…? On that terrible day when the earthquake struck, three of our Sherpas died. Our base camp took the full force of the avalanche and was completely destroyed. The avalanche came off the mountain of Pumori which is directly behind our camp. No one in their tents had any chance. It was just a stroke of luck that most people had gone up to Camp 1 only that morning, very early. Terrifying as it was being at Camp 1 in thick mist with avalanches thundering down all around from the faces of Nuptse and Everest, it was as nothing to the death and destruction that had just occurred at base camp. Unfortunately Pasang Temba, who had been our Camp 2 cook for nearly 20 years, was killed, as was Kumar our cheerful, always smiling kitchen assistant, together with Tenzing, a climbing Sherpa for whom nothing was ever too much trouble. All these men leave families. Between them they had 9 children and 1 grandchild. 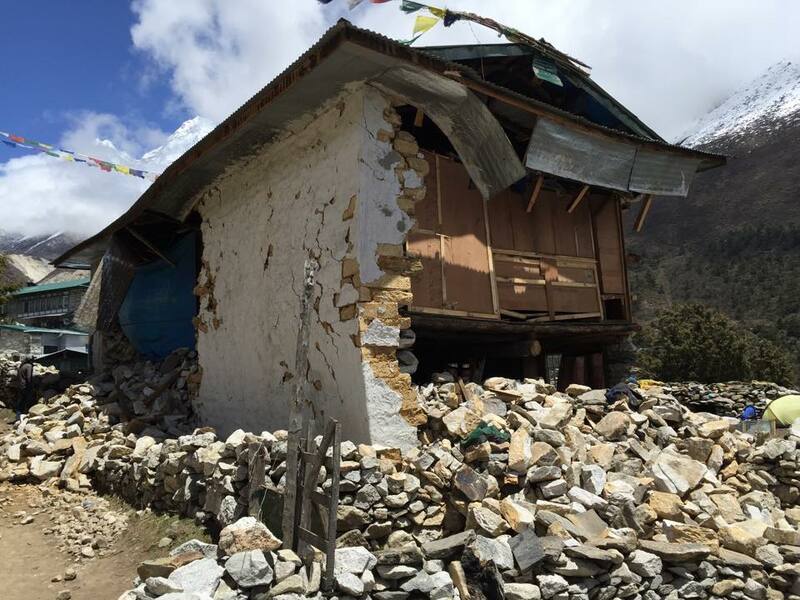 And to make matters worse, Pasang Temba's house was destroyed in the earthquake, as was Ang Nuru's. They are now living in tents. The village of Pangboche where they live is at almost 4,000 metres (13,000 feet), which is the summit height of many alpine mountains and it is cold up there! We need to help them... Well I, at least, am determined to help them and I am hoping that some of you may help too. 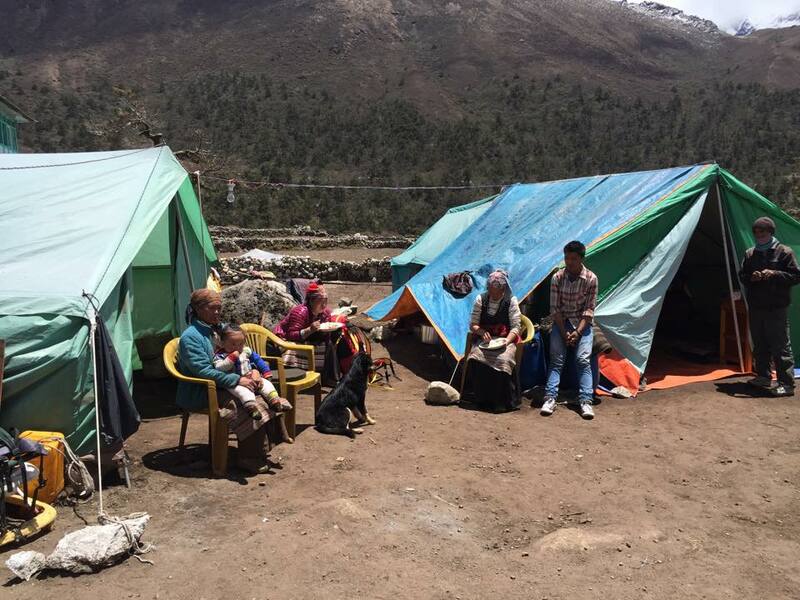 A few days ago Ang Nuru rang me from Namche Bazaar and said "we don't know what to do.." I said to him "don't worry we will help you," not knowing quite how but just knowing that somehow we WILL help them. I know that anything is possible... I learnt that when I climbed Everest. So I then gave Ang Nuru a list of questions which I needed answers to with regard to the rebuilding costs, what materials are needed etc, which he himself could not answer, but which he knew our Sirdar (head climbing Sherpa) Kame, could. Ang Nuru said he would go immediately to Pangboche to see Kame, which entails a 6 hour walk! So Ang Nuru walked to Pangboche that afternoon, got the answers from Kame and walked all the way back to Namche the next day so he could ring me back with the answers! How can we NOT help these people???!!! Ang Nuru was SO grateful for the promise of our help, he couldn't stop saying thank you. I know this boy so well. We have shared so much together and I can tell from his voice that we are a ray of hope in a seemingly desperate situation. After that call I sat down and cried. Feeling helpless, wanting to reach out and hug him. Wanting to make it alright. I trusted this boy with my life on the mountain and he looked after me so well. 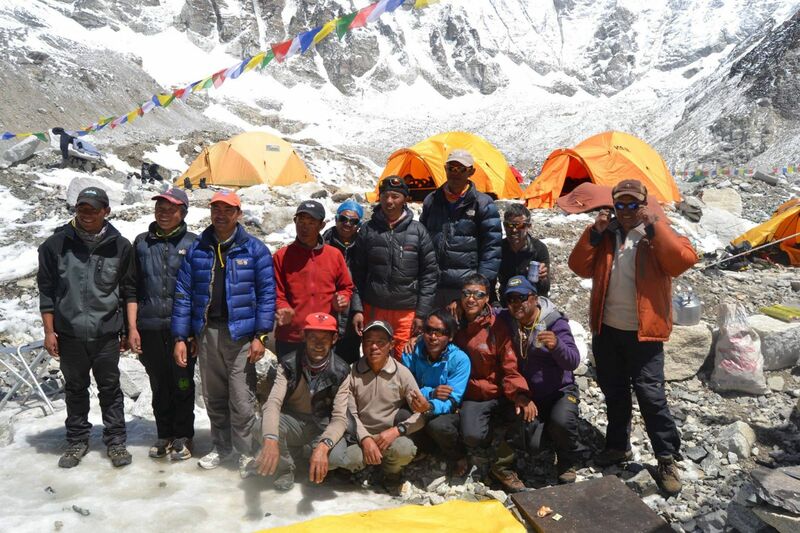 It is now time to do something for him, and for the other Sherpas who lost their lives working for us. 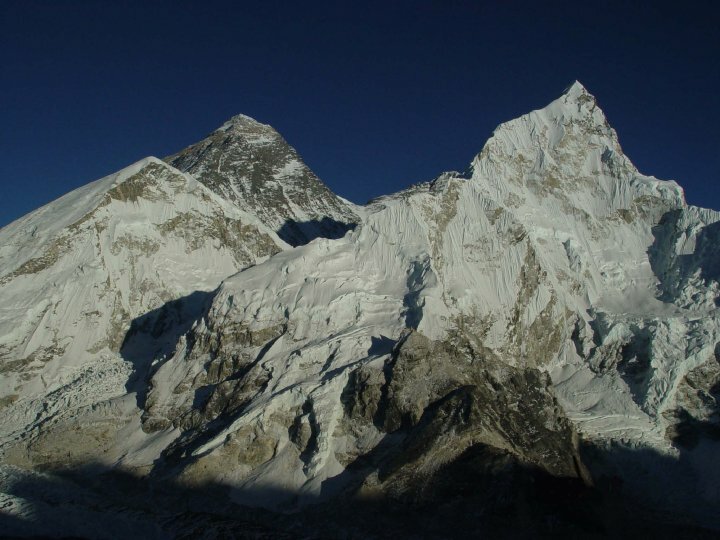 Many of you reading this will have been to the Khumbu, either climbing or trekking, perhaps even with me, and some of you will personally know the Sherpas I am talking about. I know you will agree when I say that the Sherpas are such lovely people. They are so kind, so generous, so willing and glad to share what little they have that I, who have so much more in material terms, feel humbled and inadequate, knowing that in reality they are the ones that can teach me. They live from their heart. Something that we here in the west have forgotten how to do. These people are such a great example to us of the true meaning of humanity. We can learn much from them. We can learn how to replace that side of our humanity that many in the west have lost. And in return we can now help them. If you would like to donate you can do so through this link https://crowdfunding.justgiving.com/Sherpafamilysupport . The money is going to go directly to the Sherpas. Every little helps no matter how small. It was lots of small steps that got me to the summit of Everest and we can now help these people to climb their Everest. Thank you. p.s apologies if you have already received an email about this.